acros 326630025 2.5LT ... Methanol, 99.8%, for residue analysis, ECD tested for pesticide analysis甲醇 查看msds/spec. acros 326630010 1LT ... Methanol, 99.8%, for residue analysis, ECD tested for pesticide analysis甲醇 查看msds/spec. acros 423950250 25LT ... Methanol, 99.8+%, ACS reagent甲醇 查看msds/spec. acros 423950025 2.5LT ... Methanol, 99.8+%, ACS reagent甲醇 查看msds/spec. acros 423950010 1LT ... Methanol, 99.8+%, ACS reagent甲醇 查看msds/spec. 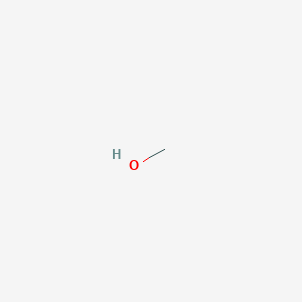 acros 423955000 500ML ... Methanol, 99.8+%, ACS reagent甲醇 查看msds/spec. acros 364395000 500ML ... Methanol, 99.8%, Extra Dry over Molecular Sieve, AcroSeal?甲醇，水<50ppm，特干，筛滤，99 查看msds/spec. acros 364390010 1LT ... Methanol, 99.8%, Extra Dry over Molecular Sieve, AcroSeal?甲醇，水<50ppm，特干，筛滤，99 查看msds/spec. acros 364390025 2.5LT ... Methanol, 99.8%, Extra Dry over Molecular Sieve, AcroSeal?甲醇，水<50ppm，特干，筛滤，99 查看msds/spec. acros 364391000 100ML ... Methanol, 99.8%, Extra Dry over Molecular Sieve, AcroSeal?甲醇，水<50ppm，特干，筛滤，99 查看msds/spec. acros 124790025 2.5LT ... Methanol, 99.9%, for biochemistry, AcroSeal?甲醇 用于生物化学 查看msds/spec. acros 124790010 1LT ... Methanol, 99.9%, for biochemistry, AcroSeal?甲醇,半导体级 最低 查看msds/spec. acros 325740010 1LT ... Methanol, 99.9%, for HPLC gradient grade甲醇 查看msds/spec. acros 325740025 2.5LT ... Methanol, 99.9%, for HPLC gradient grade甲醇 查看msds/spec. acros 326950010 1LT ... Methanol, 99.9%, Extra Dry, AcroSeal?甲醇，水<50ppm，特干，99.9% 查看msds/spec. acros 326950025 2.5LT ... Methanol, 99.9%, Extra Dry, AcroSeal?甲醇,半导体级 最低 查看msds/spec. acros 268280025 2.5LT ... Methanol, 99.8%, for HPLC甲醇，99.8% 查看msds/spec. acros 268280010 1LT ... Methanol, 99.8%, for HPLC甲醇，99.8% 查看msds/spec. acros 326951000 100ML ... Methanol, 99.9%, Extra Dry, AcroSeal?甲醇，水<50ppm，特干，99.9% 查看msds/spec. acros 327900025 2.5LT ... Methanol, 99.8%, for electronic use (MOS), residue free甲醇 查看msds/spec. acros 167835000 500ML ... Methanol, 99.9%, for spectroscopy甲醇，99.9% 查看msds/spec. acros 327900010 1LT ... Methanol, 99.8%, for electronic use (MOS), residue free甲醇 查看msds/spec. acros 167830025 2.5LT ... Methanol, 99.9%, for spectroscopy甲醇，99.9% 查看msds/spec. acros 413770025 2.5LT ... Methanol, 99.8%, for spectroscopy ACS甲醇 查看msds/spec. acros 176840250 25LT ... Methanol, 99.9%, for analysis甲醇，99.9% 查看msds/spec. acros 176845000 500ML ... Methanol, 99.9%, for analysis甲醇，99.9% 查看msds/spec.